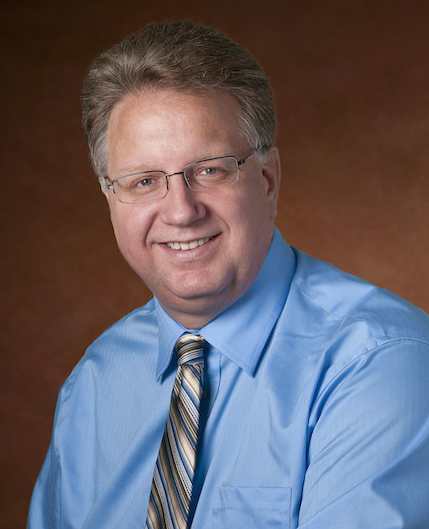 Greg Gdowski has nearly 30 years of experience in the area of biomedical engineering. His career began while working at a family business that manufactured silicone medical products (Sil-Med® Corporation). In 2001, Gdowski joined the faculty at the University of Rochester in the Departments of Biomedical Engineering and Neurobiology and Anatomy where he established a laboratory in vestibular sensory processing. Gdowski mentored numerous students and taught courses in both biomedical engineering and neuroscience. He regularly served as a supervisor for senior design projects in Biomedical Engineering, one of which received a nationally competitive award. Gdowski established connections to the medical device industry by serving on the executive committees of the Rochester and Syracuse IEEE Societies. For the last several years, he have served as an active committee member for MedTech (an association composed of nearly 300 pharmaceutical, biotech and medical technology companies across Upstate NY). In 2010, Gdowski organized the Upstate New York Biomedical Engineering Career Conference that assembled over 200 academic and industry experts and students in the medical technology area. From 2010-2012, Gdowski worked at Blue Highway where he managed the R&D team in translating and commercializing medical technologies from the academic environment into the product pipeline of Welch Allyn. Welch Allyn is a medical device manufacturer of visual and hearing diagnostic tools that are used in front-line care by primary care physicians. The project portfolio included: novel antimicrobial polymers, new techniques to be used in the early detection of diabetic retinopathy, applications of optical coherence tomography for diagnostic imaging of the eye and ear, non-invasive techniques for blood glucose monitoring, and techniques for early diagnosis of Alzheimer’s Disease. Two projects are currently in the premarket prototyping phase and are targeted future products of Welch Allyn. Gdowski currently serves as the executive director of the Center for Medical Technology & Innovation at the University of Rochester. The purpose of the Center is to coordinate educational and entrepreneurial activities related to the development of novel technological solutions to clinical problems. The Center brings together physicians, engineers, business leaders, and industrial partners to foster a unique training program and path by which medical technologies at the University of Rochester are cultivated and brought to the marketplace. A principal activity is the development of a master’s degree program in medical technology innovation within the Department of Biomedical Engineering. The students within this program interact with both clinical and engineering faculty to identify critical needs in the clinic and to develop practical engineering solutions that will facilitate and improve health care delivery. A second goal of the center is to provide a service and pathway that helps the faculty and students transition their technology developed on the lab workbench to commercialization. The center fosters interactions with the medical device industry to facilitate a more readily traversed path to commercialization. One of the largest obstacles that a faculty member confronts when translating concepts conceived in the lab are the financial and time commitments required to prototype and miniaturize a technology as a pre-market device that can be clinically tested and later approved by the FDA. The CMTI helps bridge the gap to help de-risk and move concepts closer to commercialization.